Welcome to the Side Hustle Success Stories interview series where we chat with real people about real side hustles! Today, we learn the ins and outs, and the dos and don’ts of real estate investing. 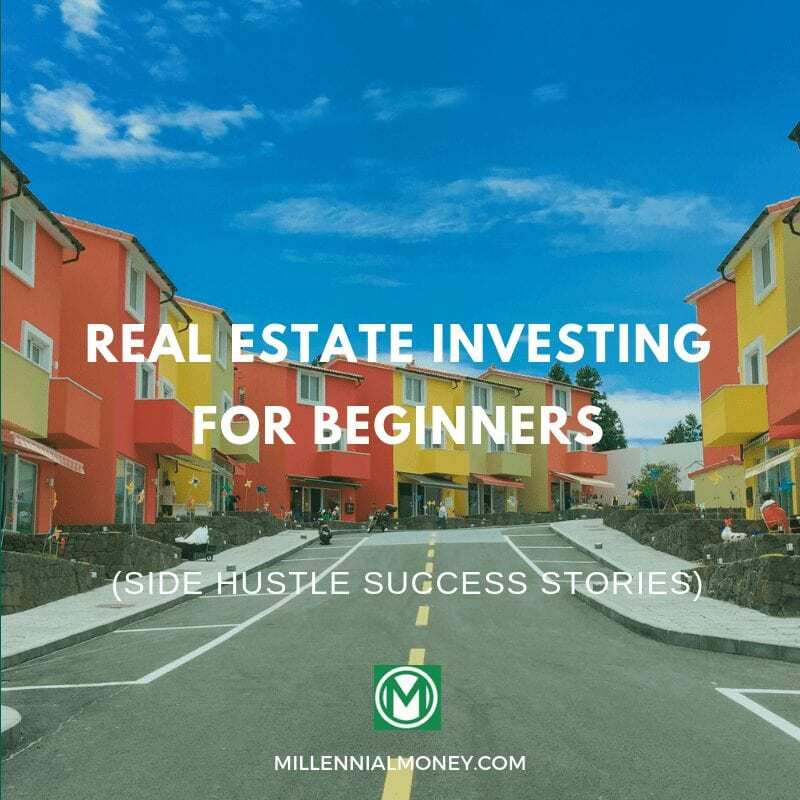 Our friend Rich from RichOnMoney introduces his real estate Investing for beginners. Take note because he currently has 20 single family rental homes that are all paid off! Talk about massive passive income! 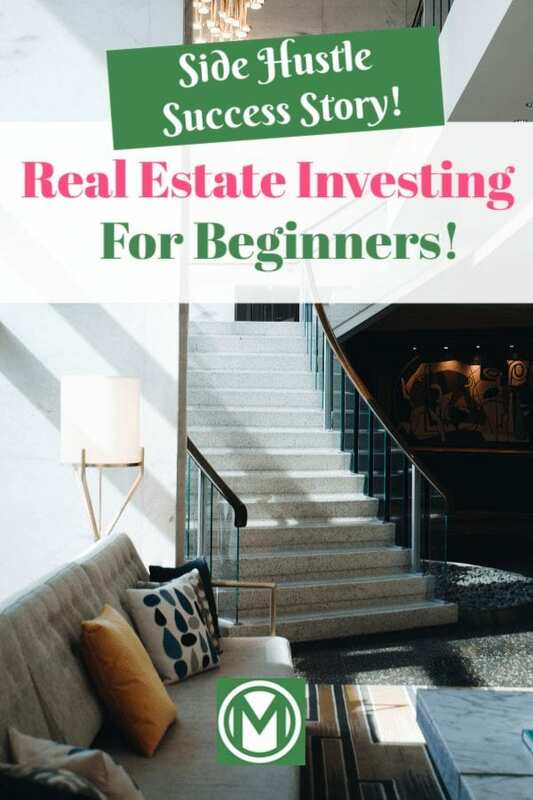 Bonus: The Ultimate Guide To Real Estate Investing is offered for free below! Having investments in the stock market or mutual funds can be key to your financial future. However, it has to be done responsibly and should be started early to take advantage of compounding interest. Furthermore, I’m sure many of you have thought about real estate as another investment tool. I’m convinced it’s a great way to build the foundation to a strong financial future. Much like traditional investing, there are huge advantages to starting earlier in life. It’s also the most misunderstood and easy-to-screw-up ways to invest. We’ve all seen people make a fortune on appreciation or heard about people who went from being deep in debt to millionaires using no-money-down strategies. I’ll give you my take on real estate investing today. I’ll point you in the right direction and give you the tools you need to make smart decisions about real estate. I’ve been in the military for the last 18 years, currently living in Seoul, South Korea. I’ve spent most of my career living overseas. I’ve flipped several homes and invested in new construction while moving every 1 to 3 years. I now own 20 single family rental homes that are all paid off. I blog about my journey at www.richonmoney.com. I’ve gotten where I am today simply by living frugally, investing well, and making sound real estate investments. I’m certainly made mistakes along the way. Maybe I can help you avoid some of them! I’ll introduce the basics of real estate investing today and show you a few prevalent misconceptions. What you’ll learn will help you make smart financial decisions about a property you are buying to live in yourself or an investment property. It starts with understanding the numbers. I will show you some rules and concepts that will change the way you look at real estate. For my money, the most important rule in real estate is the 1% rule. Once you know this rule, you’ll have the ability to instantly look at the price of a home and know if it has a chance of being a good investment. You also know if you are overpaying or have a chance of getting a really good deal. This rule is so easy, it can be done in your head. The 1% Rule – If a house rents for at least 1% of the acquisition cost, it might be a good investment. Acquisition cost takes into account remodeling or other costs getting the house move-in ready. An example would be buying a house for $80,000 and fixing it up for $20,000. Its acquisition cost is $100,000. According to the 1% rule, it should rent for at least $1,000 a month (1% of $100,000) to have a shot at being a good investment. This rule is an estimate. Once you’ve determined this could be a good deal, you’ll do more research, and get all the info you can about actual income and expenses to have a true estimate of what your future return on investment will be. Ever heard anyone complain they live in San Francisco or New York City so they can’t invest in real estate? I would argue they are correct, and the 1% rule shows you why. If you buy a house for $900,000, but it rents for $3000 a month, you are nowhere near passing the 1% rule. It’s a money-losing investment. Some will argue you’ll make up for it on appreciation. I call this the appreciation myth. While appreciation is sometimes larger in high cost of living (HCOL) areas, it’s sporadic in timing, and over the long term, only slightly better than the rest of the country. Don’t fall for the hype. Many argue it’s still better to buy then waste your money on rent. When you crunch the numbers, you’ll often find that renting can be superior to buying in many situations. One reason is, for the first several years of your loan, you are actually paying off far less of the principal portion of the loan than you realize. It’s mostly interest. This is because of the way amortization on loans works. Additionally, some argue the mortgage payment may be cheaper than the rent payment in certain cities. That may be true, but there are lots of expenses to pay after a mortgage payment each month (repairs, maintenance, capital expenditures, taxes, insurance, HOA, etc). There are usually no expenses beyond rent. Many people already own rental property and think they are making money on it, when in reality they may be barely breaking even or even losing money. To understand this concept, I’ll introduce you to my second-most favorite real estate rule, the 50% rule. The 50% Rule – Approximately 50% of your gross rent on a single family home will go to expenses. Examples of expenses are: taxes, insurance, repairs, HOA, capital expenditures, property management, etc. Remember, a mortgage payment is NOT included in this 50%. The amount of money you bring home as extra income or “cash flow” is after the 50% expense AND after the mortgage is paid. Most people ignore this 50% expense when they tell people what their cash flow is. You bought a house for $100,000. It rents for $1000 a month. $500 a month is considered expenses. Let’s say your mortgage payment is $600 a month. You tell your friends that your cash flow is $400 a month because $1000 rent – $600 mortgage = $400 profit. In reality, you have approximately $500 in expenses and a $600 mortgage. Your total expenses are $1100 a month. With $1000 in rent, you have a negative cash flow of $100 a month. I want to talk about finances. When are you ready to buy a house of your own? an investment home? As you may remember, I own 20 paid off houses. I’m not going to sit here and tell you paying off mortgages early is the only way to go, but it does have its advantages. I do want to talk about what I consider aggressive or irresponsible real estate investing. I believe you should invest in real estate from a position of financial strength. You should get your finances in order before diving in. I’m sure you’ve heard people buy real estate with no or low money down and with bad credit. There are also real estate gurus who will convince you to use other people’s money, get cash advances on your credit cards, borrow from your 401k, or better yet, borrow from your Grandmother’s 401k to finance your deals. I believe the idea of using other people’s money, as little of your money as possible, and having as much debt as you can get your hands on is not necessarily a sound investment strategy. Some do get rich quick this way, but a fair amount of people just make things worse for themselves and the unfortunate people they convince to invest with them (sorry Grandma, I hear Walmart is hiring!). Again, this is a situation where the media, books, websites, and gurus hype things up too much. On your first few houses, I would play it safe. Pay off debt, especially credit card debt before you mess around with real estate. Bonus points for paying off vehicles and student loans before investing in real estate. That’s my personal style, but some may consider that too extreme. I like to save up a 20% downpayment, then get a fixed rate mortgage for 30 years at a low-interest rate. Less than 20% down, and you are wasting money on private mortgage insurance (PMI). Additionally, you don’t have any equity in the property should the market turn against you and you need to sell. At least 20% down is a safe way to go. I then look for a property to buy using the 1% and 50% rules as a starting point. Once the house is bought and you have renters in place, you make sure it’s cash flowing a little (or maybe a lot) and then you start saving up a second down payment and hopefully repeat the process. The key is, you make sure your first house has become a sound investment before moving on to your second. Also, your second house needs a downpayment as well. Some of you will feel like a 20% downpayment is unattainable, but I did it on a military income, and I see lots of people do it when they get serious about saving. Also, the prices of houses that I bought in Alabama ranged from $30,000 to $60,000. These met the 1% rule easily, cash flow well, and, if you need a down payment of 20%, it’s something that is totally doable! Another problem I have with the whole mantra of “no money, no problem, buy houses with no money down!” is the idea of not having cash reserves. I believe in planning for worse case scenarios, and there should be cash in the bank in case something goes wrong. It is a good rule of thumb to keep six months of cash reserves for all the money you would need to pay your mortgages and all related fees should you have no income. This includes insurance as well as taxes. Keep in mind, if you have a mortgage on your primary residence, the house you live in now, it is just as necessary to have a cash reserve for that house as it is for your investment properties. There are two reasons why six months is a good rule of thumb. One is, it gives you time to weather out murphy’s law. You could lose your job, houses could go unrented, expensive repairs could happen all at once, who knows. The other reason is, this happens to be what most banks require to see in order to qualify for loans. If you have investment properties, they’ll want to see six months in cash reserves for each one, including primary residence. This will allow you to be ready to borrow money from the banks when it comes time to buy house # 3 or 4. This six months of cash reserves is just a rule of thumb. If your houses cash flow a lot, as mine do, the need for cash reserves is less. If your houses have a small cash flow, you may need more to be safe. The important thing is that you can sleep well at night knowing you have enough money put aside to weather an unforeseen event or two. You need to pick a certain amount of time, but not too much time, to educate yourself on real estate. Give yourself three to six months and soak in all the info you can, then commit yourself to take some action (once you’re financially ready). Some people read blogs and books forever but never take any concrete action. I like blogs more than any other forum for learning. Go through my blog thoroughly, focusing first on the real estate tab. I recommend reading everything by www.coachcarson.com. He used real estate responsibly to retire early and now helps others do the same. Paula Pant from www.affordanything.com used real estate to allow her to pursue her passions. Both her blog and podcast are amazing. Biggerpockets is the largest real estate website in the world. It’s has a paid membership, but there are lots of forums, podcasts, and posts you can access without being a paying member. With Biggerpockets, I recommend listening to their podcasts. They interview all types of real estate investors (myself included) and really get into the weeds on how they built their portfolios. I learned a lot about several different approaches to real estate investing from their podcast. My caveat for Biggerpockets is they don’t necessarily teach a certain real estate investing philosophy, they just introduce everything out there. You will have to exercise your own judgment as to which approaches suits you. The podcast often features stories of people who built large portfolios quickly by aggressively using debt, using creative financing methods, and avoiding using their own money as much as possible. I’m not always a huge fan of this. If a strategy allows you to get rich quick, it conversely will allow you to get poor quick. When you have lots of loans and little to no cash reserves, you are very sensitive to downturns in the market or rare and unforeseen events such as job loss, serious health issues, flooding, etc. Using blogs, podcasts, and even having a mentor are probably more important than reading a book, but it’s still a very traditional way to expand your knowledge. No books I’ve read have blown me away, but a few are pretty good. I’ll recommend The Book on Rental Property Investing by Brandon Turner (of Biggerpockets fame), and The Millionaire Real Estate Investor by Gary Keller. Once you’re doing your homework and have learned something about real estate through your research, it’s time to find a mentor or mentors. You need someone who has been successful at the type of real estate investing you want to do. You’ll want someone to bounce ideas off of as you go about your first purchase, and someone to talk to when you run into difficult issues. Finding a mentor is something I see people doing the wrong way all the time. You don’t just find your favorite investor and send him an email asking if he’ll be your mentor. This happens a lot, and I believe it has a 0% success rate. Brandon Turner said it best in one of his real estate books. He said asking someone you don’t know to be your mentor is like asking someone to marry you on the first date. I would recommend seeking a mentor that doesn’t have a media presence already. They’re probably tapped out with requests. Most cities have real estate investors association (REIA) meetings you can attend. You can also use the forums on Biggerpockets.com to meet real estate investors in your city. Also, you need to find a way to make it beneficial for them. Find some way of offering them value. Maybe you’ll do some type of work for them for free, and they’ll give you advice and pointers as you move towards purchasing your first investment property. I would avoid using the word mentor when having conversations with potential mentors. It’s a weird word that implies a lot of commitment and time. I think the mentor-mentee relationship is something that forms naturally over time, without actually using the word. Don’t force it. You know enough to be dangerous now. There’s still a lot to learn before you go out and actually buy a property. You need to build a team of people that will help you. Your real estate agent, property management company, contractors, title company, attorney, lender, to name a few. You need to learn how to make offers. Other than from real estate agents and the multiple listing system (MLS), where can you find good deals? These are subjects for another day. What do you think about my approach to real estate investing vs. what you’ve heard in the past? I want to hear your thoughts below.